Handwriting - How to Write Lower Case Letters Animated PowerPoint. 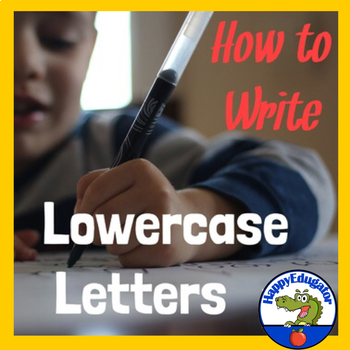 Learn to write manuscript lowercase letters. 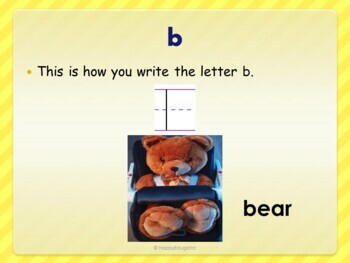 Teach your students lower-case letter formation and write letters the fun way. This animated PowerPoint shows students how to form the lower case letters of the alphabet. 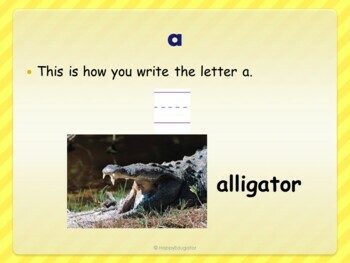 Students can watch how to print and then copy the letters on their own paper. 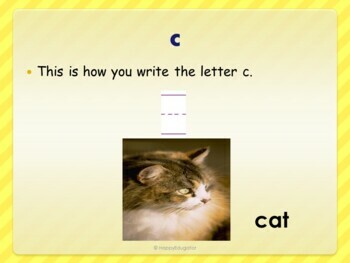 Each letter is associated with an animal as well. Great for homeschool, too! Supports common core.